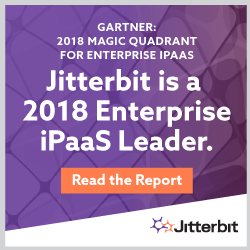 I am delighted to announce that Jitterbit was named a Leader in the Gartner Magic Quadrant (MQ) for Enterprise Integration Platform as a Service (EiPaaS) for 2018. Gartner evaluated various integration providers based on their ability to deliver an Enterprise level iPaaS solution that is both feature-rich and meets customers’ demanding integration requirements. This is now the third straight year that Gartner has recognized Jitterbit as a leader, but more importantly, we have steadily improved our position in the MQ each year. At Jitterbit, we feel this underscores our success at continually driving rapid innovation and being selected by companies as the preferred enterprise integration solution. In addition to these accolades, Jitterbit received a “100% unconditional recommendation” from our clients in the Gartner eiPaaS customer reference survey. Gartner also calls out that Jitterbit was able to achieve this while adding more than 10,000 new freemium users, 400 new client logos and increasing revenue at a rate that’s above the market average. We attribute this to our customer-first approach, ensuring our customers are set up for success right from the start, regardless of the complexity of the integration project, and the fact they are able to achieve measurable ROI in just a few months – something our competitors struggle with. Gartner also highlighted in the report that the Jitterbit Harmony platform is more appealing for strategic adoption because we eliminate the complexity of integration through an easy to use graphical user interface that provides a modern, intuitive user experience. This is due to our support for multiple integration personas. Jitterbit is the only API integration platform vendor that provides a single born-in-the-cloud platform with solutions designed from the ground up to serve a wide range of integration personas, from the citizen integrator, the ad-hoc integrator, the digital integrator, to the developer. Jitterbit Harmony empowers integrators of all types to quickly connect popular apps through pre-built recipes, enables Product and IT teams to create deep integration with apps and infuse them with intelligence, and provides developers with deep “low code” scripting options to manipulate and transform data. Gartner also called out that Jitterbit offers advanced collaboration tooling, a solid roadmap with added AI and serverless runtime options, plus dedicated support and expertise to make any integration project successful. With the new enhancements in API management capabilities, Jitterbit continues to revolutionize integration by merging cloud integration with API lifecycle management capabilities and has leapfrogged almost all other EiPaaS vendors in the MQ. Thousands of customers report love using Jitterbit to drive digital transformation initiatives and innovation in the digital economy. 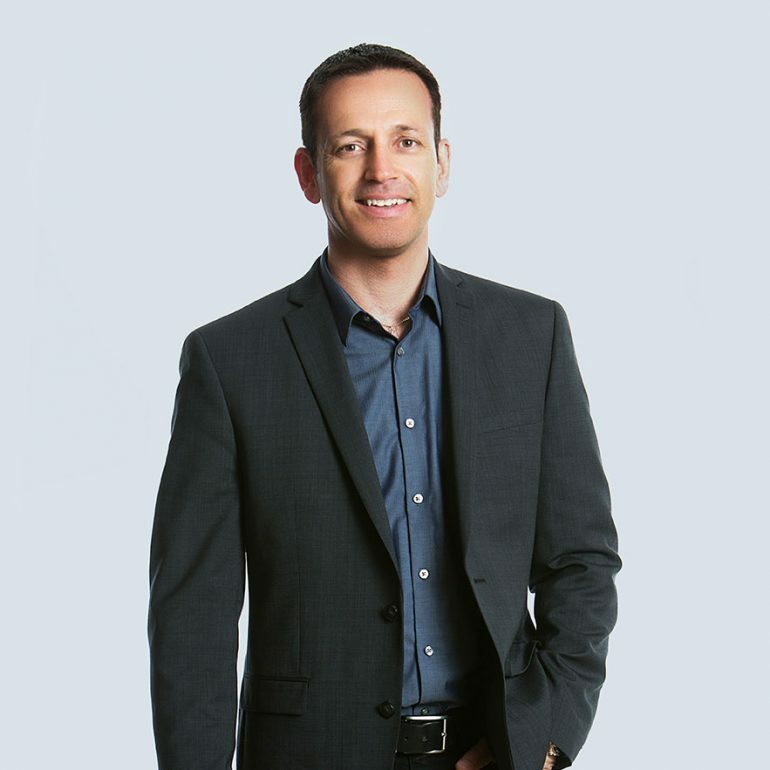 We continue to provide our customers with the ability to improve efficiency and remove the complexity of integrating a legacy solution with an intuitive platform that offers accelerated self-service integration for line of business users, and a powerful design experience for integration specialists looking to orchestrate complex integration operations. Gartner rightly highlights that with releases every month, Jitterbit is in a position to respond rapidly to the demands in the market. Organizations are embracing enterprise iPaaS solutions mainly because cloud connectivity is the focal point in the marketplace. The Jitterbit Harmony platform supports the integration of diverse cloud, on-premises, and home-grown systems, while also supporting real-time integration, API auto-creation and management — all with just a few clicks. Jitterbit’s technology drives digital transformation by providing businesses the capacity, elasticity, and agility to move at the pace needed to succeed in the digital economy. Download the 2018 Gartner Magic Quadrant for Enterprise iPaaS report here. Gartner: Magic Quadrant for Enterprise iPaaS, Keith Guttridge, Massimo Pezzini, Eric Thoo, Bindi Bhullar, Betty J. Zakheim, 18 April 2018.